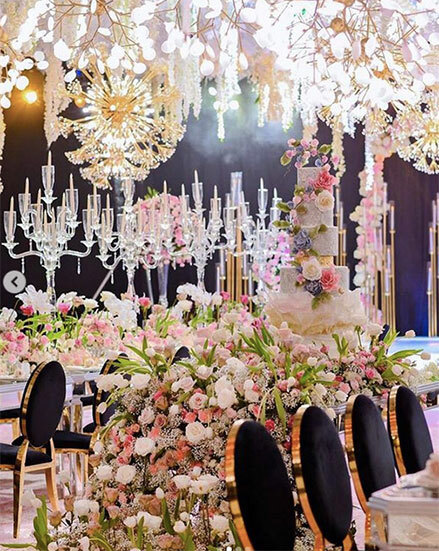 Sunshine Garcia and Alex Castro held their grand wedding reception at the Sofitel Philippine Plaza Manila, on March 2, 2019. 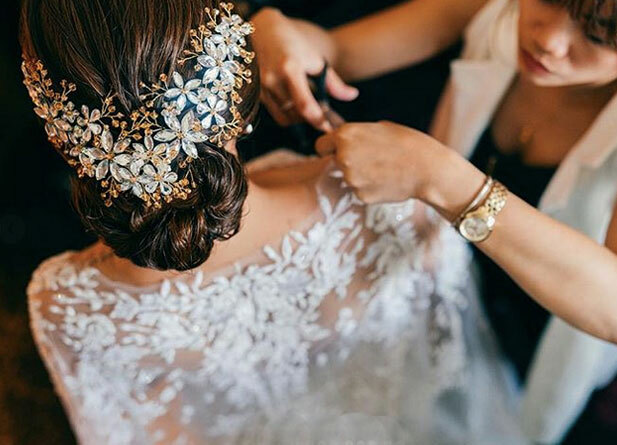 Sunshine Garcia's dream wedding was "nakaka-royalty," with her bridal look as "mala-princess." That was what she told PEP.ph (Philippine Entertainment Portal) in January 2019. But since what she had in mind would entail big budget, she managed her expectations: "...basta maayos lang, disenteng wedding, yung mag-e-enjoy naman mga bisita ko, and masarap yung food." On her big day, March 2, she got the most pleasant shock of her life, and exclaimed, "Nakakaiyak!" 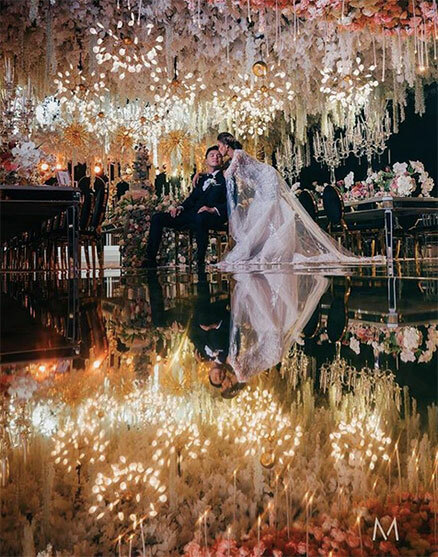 On Instagram, she wrote, "Halos lahat naging perfect mula sa Church..."
Sunshine and her now-husband Alex Castro tied the knot at the Manila Cathedral. Her makeup and hair were striking. And that headpiece looked like a tiara! Her intricate gown by Patricia Santos was dreamy. She looked every inch a princess. 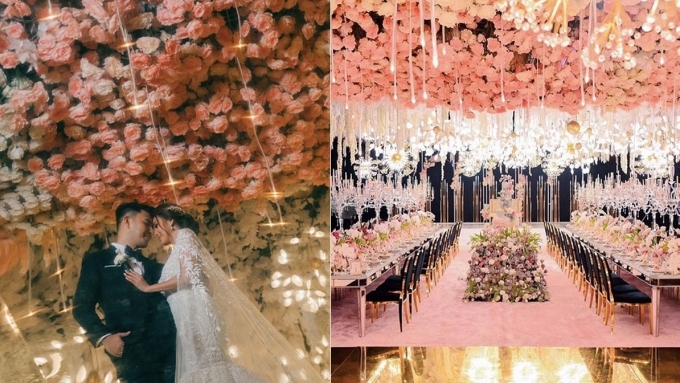 But the one detail that she called "jaw-dropping" and described as "nagpaiyak sa akin" was the reception, which was held at the Sofitel Philippine Plaza Manila. 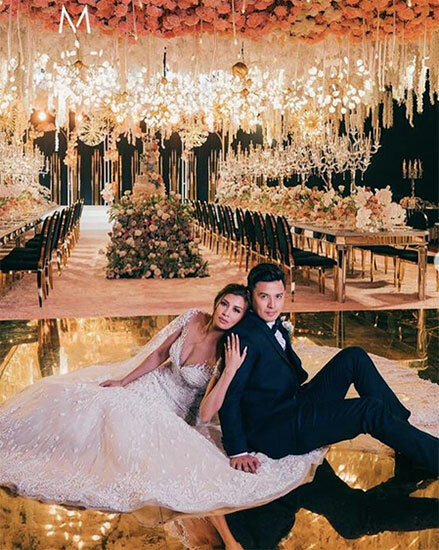 Sunshine wrote, "Yung makita ko na ganito kaganda yung reception namin parang halos ayaw ko ng patanggal lahat at duon na lang muna ako. 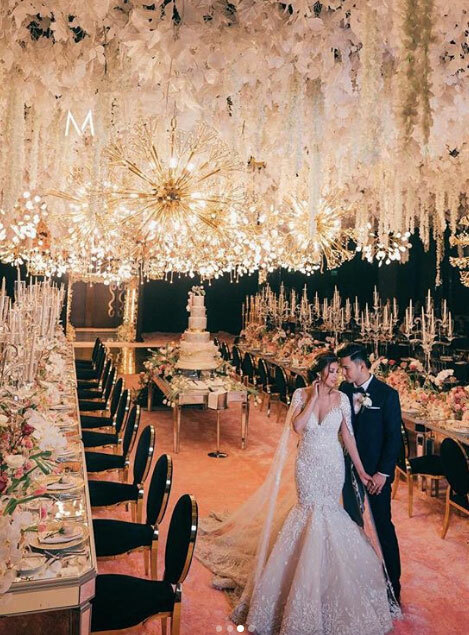 Sobra-sobra ang binigay niyo sa amin..."
Badang Rueda and her team styled the ballroom, and the bride said, "deserved nila lahat ng papuri sa galing nilang lahat..."
The former Sexbomb Girls member continued, "Yung iyak ko kahapon sa inyo sa sobrang saya ko kasi hindi ko inexpect na yung pangarap kong ayos ng reception na sabi ko 'SANA MARANASAN KO ANG GANITONG RECEPTION,' pero alam ko sa sarili ko na baka hindi mangyari. Pero nandiyan kayong lahat para tuparin ang DREAM WEDDING namin." In another post, she said her wedding was "like living in a fairytale," thanks to her coordinators and suppliers, and, most especially, her Prince Charming.